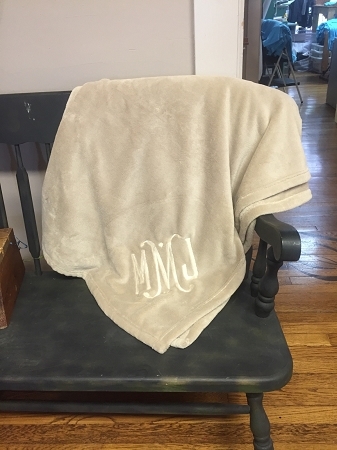 New monogrammed plush throw blankets have just arrived. 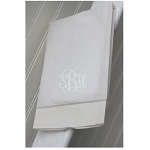 These are SUPER soft and are lovely with a tone-on-tone or bright pop of color monogram. Throw it on a couch or chair for the perfect living room finishing touch, or fold at the end of your bed for a touch of elegance. These come fully hemmed and measure 50x60". 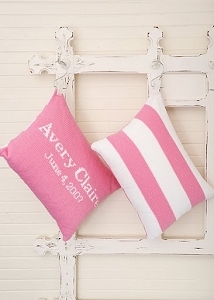 Available in several colors and fully customizable with lots of options for font and thread color. This is sure to become your go-to to cuddle up with while watching netflix on the couch. 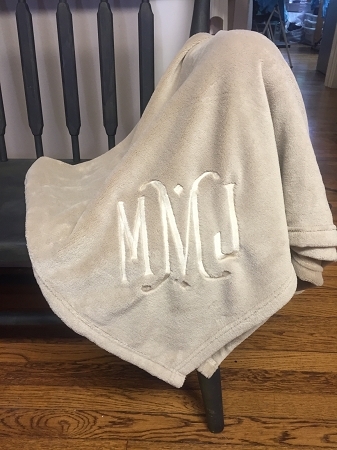 Also makes a great wedding or graduation gift (think chilly nights studying in the dorm).